Description: Launch FBSDKShareKit from UIActivityViewController instead of the default Facebook share sheet. 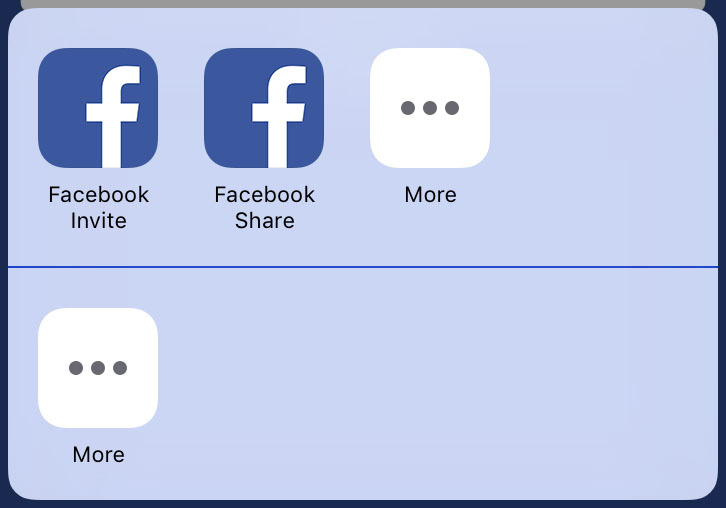 Launch FBSDKShareDialog from UIActivityViewController instead of the default Facebook share sheet. Also compatible with Branch Metrics and Facebook App Invites! If you are using Branch Metrics and you want to use Facebook App Invites (FBSDKAppInviteDialog), i'll do this job for you! Even if you have custom domain registered or the legacy domain. 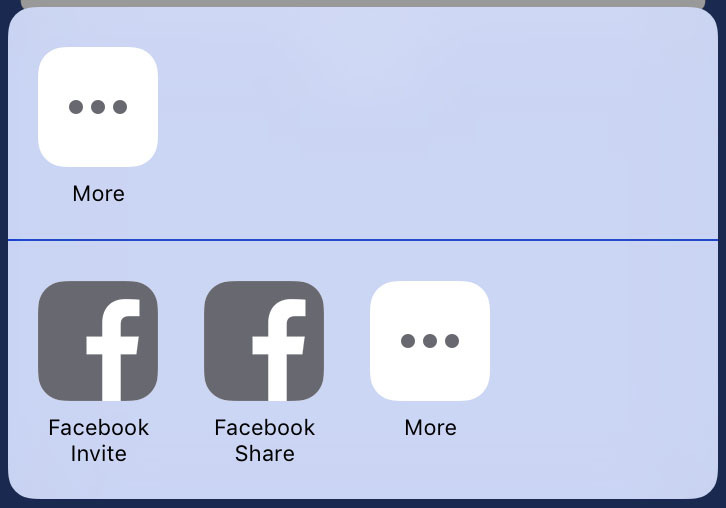 Like it, but don't want to replace the native sharing activity? Ok, no problem! You can use the AppInviteActivity, ShareLinkActivity or ShareMediaActivity UIActivity subclasses. Use it in the same way you use UIActivityViewController, that easy! If you want to replace native Facebook UISocialActivity, just call UIActivity.replaceFacebookSharing(). Special thanks to jilouc/CCAFacebookAppActivity, which has inspired this repo. Also to my colleagues and friends, JavierQuerol and PabloLerma. ARFacebookShareKitActivity is available under the MIT license. See the LICENSE file for more info.